Being faced with disruption and increasing pace of change, many established companies fail to keep up. 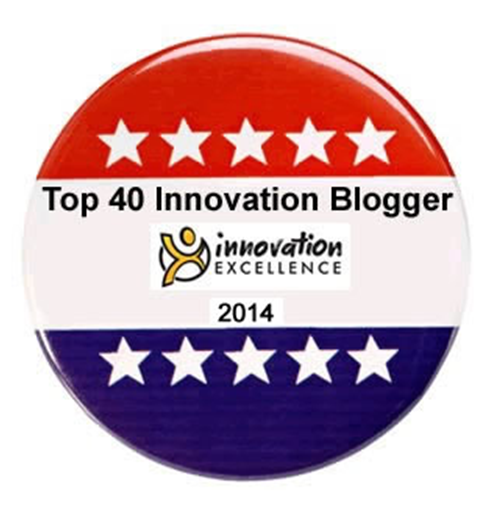 They often turn out to be ill-prepared to innovate under uncertain and time-critical conditions. Rather than going it alone, some companies reach out to suitable partners with the aim to build up innovation ecosystems that complement the companies’ capabilities, competences and strategies. 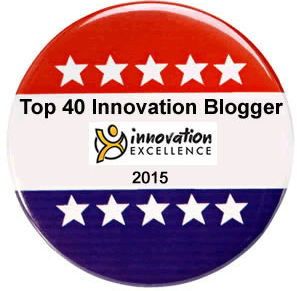 A decisive question is: What types of ecosystems will work best in particular innovation environments? Centralized Ecosystem (Broker): A company functions as a hub to connect partners while keeping them separate and forcing them to work through itself. Example: Mastercard interacts seamlessly with a long list of banks and merchants that use Mastercard’s infrastructure to process payments from its customers. Adaptive Ecosystem (Orchestrator): A company connects multiple partners and encoturages them to work directly with each other. Example: Mastercard has recently started developing new offerings tailored to emerging consumer needs around commuting experience together with partners from public transportation and retailers in the consumer goods business. Ecosystems need to align with an industry’s life cycle. Adaptive ecosystems are best suited to emerging industries where there are significant uncertainties and the broader environment is not yet well-defined. Centralized ecosystems work for mature industries and stable contexts. Over time, a company’s ecosystem strategy will evolve: As industries that were once unsettled begin to mature and the value-creation patterns become more established, companies may move toward favoring centralized management over adaptive models. How this pattern plays out will vary from ecosystem to ecosystem. 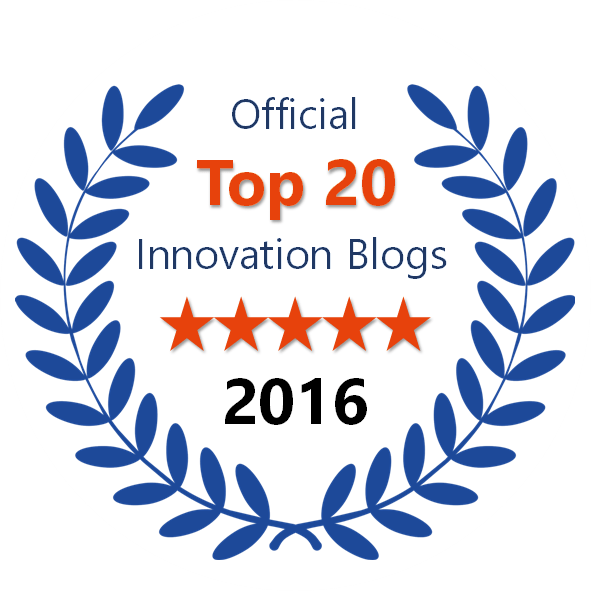 These two innovation streams, feeding Playing Field 2 (Reshape the Core), jointly determine how today’s core business is reshaped – or transformed – into tomorrow’s business. 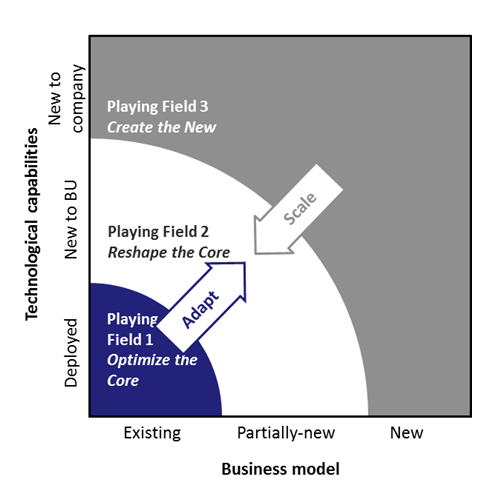 Designing Playing Field 2 adequately to provide a dedicated environment for those reshaping activities to come off, can be viewed as key challenge in modern corporate innovation management. 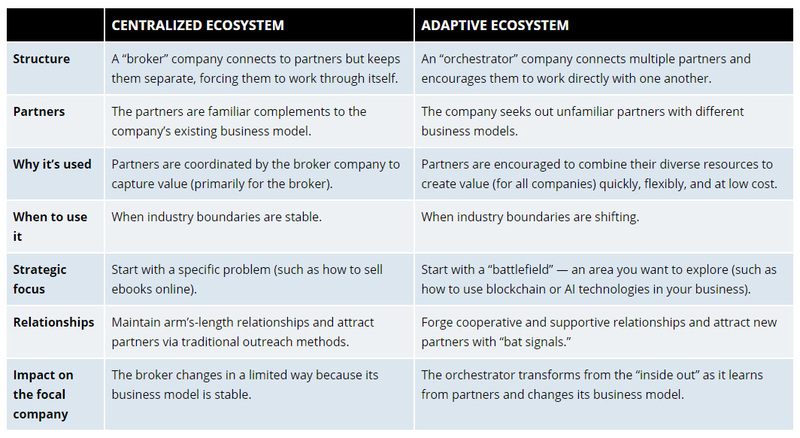 In essence, this can be boiled down to a Dual Ecosystem Strategy: Centralized ecosystems can be associated with core-related innovation activities aiming at developing existing businesses, while adaptive ecosystems seem favorable for complementary explorative innovation activities aiming at tapping into novel, emerging opportunities. Companies engaging in ecosystem strategies are building collaboration and partnership capabilities that will serve them well over the life cycles of their respective core businesses. Beyond that, discovering and leveraging new forms of value in collaboration with unfamiliar partners is likely to bring forth new opportunities and extend a company’s life span. Thanks – good to hear it’s useful for you!